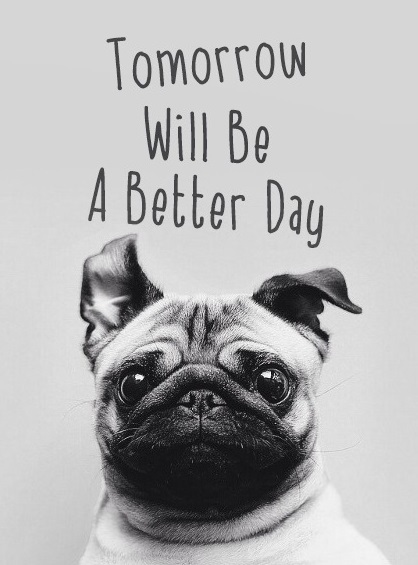 Better jour. . Wallpaper and background images in the citations club tagged: photo puppy dog pug better day tomorrow quotes. This citations photo might contain roquet, chien, pug pug chien, carlin, and chien carlin.